Have you ever asked yourself why you are here? Or, what you should do with your life? If you think the answer is to start a nonprofit organization, you still need to ask yourself more questions. I have compiled five questions to think about before you start an organization. Keep in mind that the answers to these questions can change over time. 1. 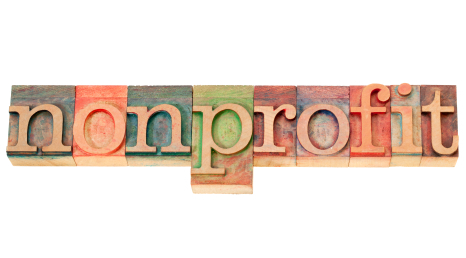 Why are you starting a nonprofit organization? Clearly, if you are starting a nonprofit, you are interested in being a social entrepreneur. Social entrepreneurs improve society by providing solutions to one of society’s biggest problems. You need to have a mission that is clear and concise. Make sure that your mission is carried out while never straying from your organization’s values. Your passion has to be strong enough to sustain you and your organization through successful and challenging times. What problem are you trying to solve or alleviate for others? So, now you have thought about the issue you want to solve, whether it be thirst or starvation etc. Think about the service you will provide. It needs to be practical. I do not mean to sound like a parent, but it has to be attainable in small goals. How will you end or alleviate the issue you have identified? Figure out what you do know and do not know. Figure out where people who know what you do not know live and get them on your team to help you. You need a board of directors that will lend their personal strengths and qualities, as well as oversee the bigger issues in the company. Yes, in smaller companies, the board of directors will act as volunteers or employees and fulfill smaller day-to-day matters. However, as your company gets bigger, you should strive to separate your board of directors and your volunteers/employees. As the company gets bigger, the tasks should be separated and delegated to different people. Who do you need and how can you get these people to lend their expertise? 4. How much does it cost and how are you going to afford it? How costly it will be to implement solutions to your problems is something that should always be in the back of your mind. However, there is more you can do once you have your team. This goes with the idea of practicality and viability. What is your budget and how will you get the funds (donations, grants, fees)?